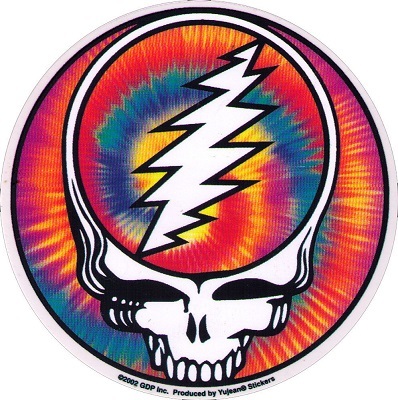 A tie dye stealie sticker makes a grateful combination. 5" round die-cut sticker. Weather-resistant, extra long-lasting. Officially licensed Grateful Dead merchandise.